The ArmorIP Receiver is an advanced technology remote monitoring solution designed to operate over high speed broadband multiplexed connections. 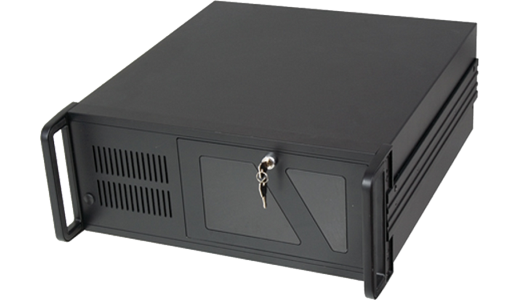 Comprising of a UL/ULC listed Comark Server and preinstalled with the ArmorIP Internet Monitoring Application, the ArmorIP Receiver is supplied ready to mount in a standard 19" rack, and converts the ICT ArmorIP reporting protocol used by the Protege System, PostX Reporting Module, and other third party products, for use in any Ademco 685 compliant monitoring station application. ArmorIP is one of the only systems in the world to meet the ULC Level A4 active communications standard for burglary and fire monitoring (CAN/ULC S304). The system detects and identifies any attempt to send data in a format that cannot be decoded or has invalid data as a compromise attempt. Each compromise attempt sends a notification to the receiver and logs the event. All communications can optionally be configured to use AES encryption with 128, 192, or 256 bit keys. The ArmorIP protocol outputs full textual based transmission that includes the names of the items (user, area or zone) that generated the reportable event. Each item can be individually configured to define the display text that is used to identify it within ArmorIP. ArmorIP then reads the number from ContactID and uses the display text (if defined) when displaying an event. For example, instead of displaying an event as Zone 8 activated, it may be displayed as Warehouse SW PIR activated. Configurable report maps allow incoming ContactID codes to be translated to their correct text name. For example the CID code 130 would be translated to Burglary as per the SIA DC-05 Specification (SIA DC-0501999.9). Each event in the report map is further evaluated based on a priority setting, and can be configured to determine that the event requires an acknowledgement from an operator if the automation software.